First published December 17, 2016 , last updated April 8, 2019 . Reading time: 3 minutes. • Comes with oil, cleaning brush, barber comb and other accessories for that perfect cut. Click here to find out if you can get free shipping with these clippers. Wahl Professional Balding Clipper is rated as one of the best balding clippers above other balding clippers because of its accurateness and precision when cutting. It has extremely sharp accurate blades that cuts close to your head as possible but you need to be alert when using it. It does very well in giving that accurate bald cut plus its v5000 motor operates very smoothly without much noise. If you prefer various lengths, you can make use of the cutting guide which contains sizes 1/16 inch – 3/16 inch. Even though Wahl Balding Clipper comprises a magnetic motor, it is very quiet while cutting. 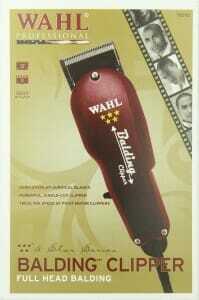 Wahl makes it more useful for individuals to attain the bald look with this great clipper. 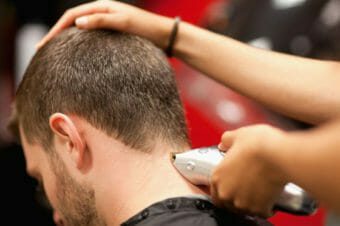 Due to the extremely sharp blades of the Wahl Balding Clipper, you must have even skin to make sure the blades won’t hook any bumps on your head. 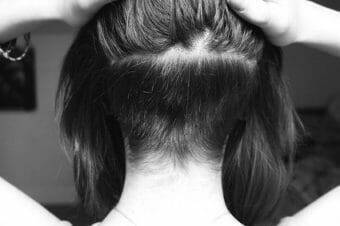 If you have extra skin at the back of your head, odds are the blades might get hold of it while cutting. Basically, this clipper has a very handy feature but you must be extra careful, and is worth purchasing particularly for barbers. Here you can read a few of the 1000+ customer reviews for these clippers. Some incredible ratings for the Wahl Professional Balding Clipper and I would definitely award this clipper the maximum 5 stars. Over 570 customer who have purchased this clipper have given it that maximum rating and it’s not hard to see why. Plus it will cost you less than $50. In under 10 minutes, this balding clipper will give you a clean shaven head with perfect precision. Two cutting guides are included which will allow you to cut you hair at different lengths plus oil to keep it clean and free from rust. If you are a professional barber, you will be pleased to know that the cord is extra-long allowing you to walk around your client to make sure the area has a clean and even cut. The only issue is you have to be cautious. This balding clipper has one of the sharpest blades you will ever find on any balding clipper, so it can be very dangerous if not used correctly. 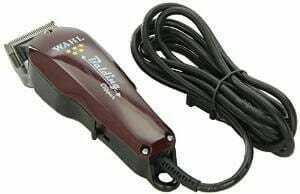 The Wahl Professional Balding Clippers is one of the greatest grooming clippers. As one of the front-runners in expert and home grooming, you can’t go wrong with this balding hair clipper. Their improvement in hair cutting has been enhanced and progressed to one of the best on the market. If this clipper appeals to you then you definitely need to click here to purchase it for the ultimate bald look.